Weight Watchers has to be one of the oldest and most recognized weight loss clubs ever. It is highly probable that a majority of people know someone who lost weight with Weight Watchers, and know about the “points” food system used by the plan. Weight Watchers has remained current as evidenced by their hip, slick, and professionally designed website, which grants the reader the needed information required to help them make a decision as to which diet plan to follow. As a matter of fact, the website is so populated with links, and sections, that it can be quite difficult to navigate, and cannot be read thoroughly during the course of one sitting. 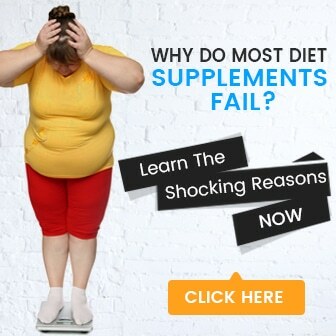 There is some extensive information regarding weight loss, and living a healthy life in general, and links to articles, community message boards, and links to pages of sponsors, such as Splenda, and Tyson Foods. The website has a very thorough testimonial section which shows success stories of Weight Watcher members, in addition to before/after photos, the individual person’s body measurements, and their personal tips for successful weight loss. Additionally, there are online tools created to help the consumer ascertain how much weight they should lose, and quizzes regarding fitness, and nutrition. The Weight Watchers customer has two options concerning this plan. They can choose between going to a Weight Watchers meeting close to where they live, or they can follow the plan over the Internet. Most people living in the city can easily find a meeting in their area, although the website does have a meeting search function. The meetings are considerably popular, because the person gets to mingle with other dieters, and can usually find a friend who will provide support, and motivation. The meeting participants receive private weigh-ins, Weight Watchers program materials, and online tool access. Obviously the online option would be ideal for people living in rural areas, or those who want to remain incognito. For these customers, Weight Watchers affords a comprehensive, online plan that includes personal food, points and fitness “trackers”, a tracker for weight loss, ideas for meals, and recipes, workout demos, and a tool that can convert favorite recipes to versions that are healthier. Both of the plans have registration fees, which are $29.95 online, and $20 for meetings in person. The monthly and weekly fees are different, and depend on the chosen plan. Discounts apply to memberships that are longer. The standard monthly fee for a weekly 45 minute meeting runs $48, but is only $46.90 online. Weight Watchers has been in business for 45 years, and has earned a stellar reputation in the weight loss industry. The “points” system is easy to use and follow, and has been proven successful, time and time again. The plan has an online plan for those who either cannot, or do not want to attend meeting in person. Most people have access to a Weight Watchers meeting in their immediate area. The plan affords support and motivation, which are so vital to weight loss success. The website affords the reader plenty of general information about health and nutrition. The testimonials section of this site is excellent. The plan is amazingly affordable. There is no minimum sign up commitment. Some dieters find counting and keeping track of “points” tedious. Most of the recommended foods have to be Weight Watchers brand, which in some cases may not be available. Some consumers may think the concept of Weight Watchers is outdated. The consumer can find comfort knowing that by going with Weight Watchers to assist them in losing weight, they are buying a proven concept, and not throwing away money on a fluky company, or diet trend that will be gone tomorrow. It is so inexpensive that it would certainly be recommended for those who want to lose weight, while garnering support of others working towards the same goal.